18 do not consider yourself to be superior to those other branches. If you do, consider this: You do not support the root, but the root supports you. 19 You will say then, “Branches were broken off so that I could be grafted in.” 20 Granted. But they were broken off because of unbelief, and you stand by faith. Do not be arrogant, but tremble. 21 For if God did not spare the natural branches, he will not spare you either. That said, back to what he spoke of in the video titled “The eclipse that divided America” I was surprised to find that he said the same things that we have received in the past and in recent days. God is calling His watchmen to action. There have been many false prophets recently, I even saw an article of a man claiming to be Jesus the other day. Recently a man claimed that the world would end on the day of the eclipse. Then said oh maybe not. Theres no need to expand on why date setting is wrong. I will say this, its not possible to understand prophecy without understanding our Jewish roots. We wont tolerate negativity toward Israel, the Jewish people or Messianic Jews. That said Christ was clear on His return, no man would be able to tell the time, time would be shortened, and tribulation will certainly overtake all. I have never been an apologist except to defend the Bible as inerrant. One thing thats abundantly clear is the arguments over parts of the Gospels such as the time of Christs return, the 3 1/2 year vs 7 year time lines. This was not meant to be scrutinized causing confusion in the body of Christ. Theres a reason Jesus warned against these things. Theres a reason Jesus said you dont understand earthly things how can I tell you of heavenly things. Theres a reason Job dwells on “Do you know the mind of God? ” Jesus gave specific warnings of mans downfall, and Gods judgement on the wicked and His church that falls away. Just as Gods warnings to early Israel when they fell away. America has been weighed in the balance along with the rest of the world and as Michael Rood points out a nation who pledges itself to God the way our founders did and turns from Him the way we have will be divided and judged. Our Nation is crumbling and the tares are being identified, and the gathering is beginning. 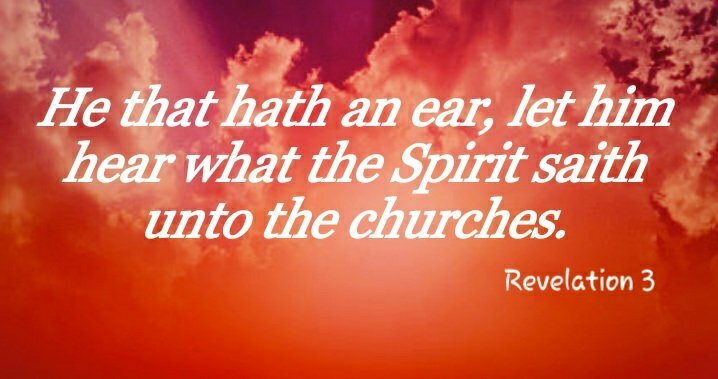 John 16 Howbeit when he, the Spirit of truth, is come, he will guide you into all truth: for he shall not speak of himself; but whatsoever he shall hear, that shall he speak: and he will shew you things to come.